Observation - Small Copper - UK and Ireland. 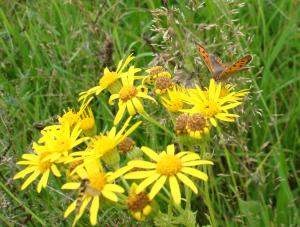 Description: Small copper butterfly resting on some ragwort. Small copper butterfly resting on some ragwort.